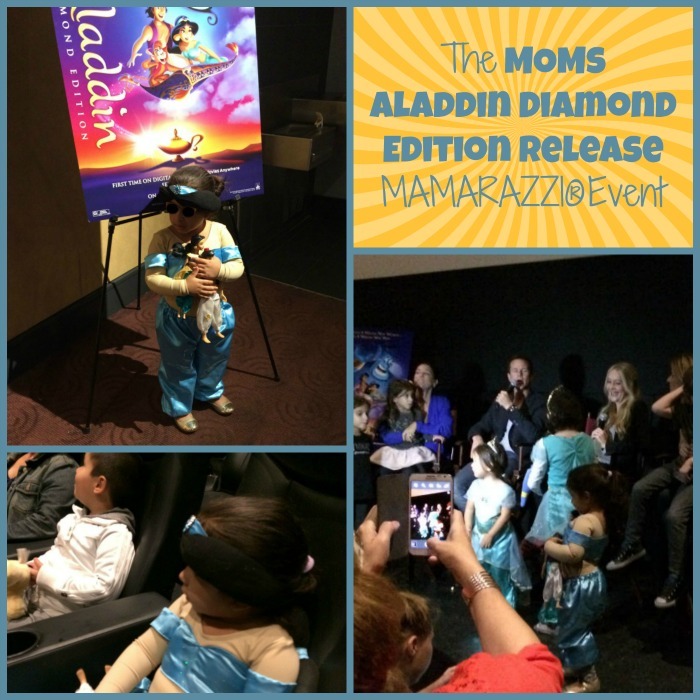 **My family and I were invited to the Moms Aladdin Diamond Edition Release MAMARAZZI® event. All opinions are 100% my own. A few weeks ago I decided to pick Princess Jasmine as my daughter's costume this year when she was indecisive on which princess she wanted to be. 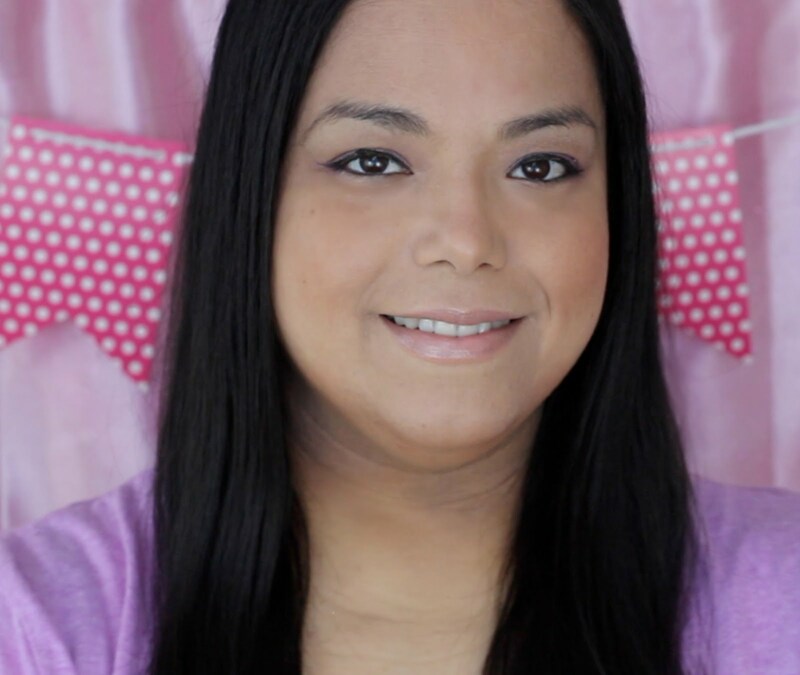 I picked Jasmine because she is the princess that most resembles my daughter. It was a happy coincidence when I was invited to the Aladdin Diamond Edition Release Mamarazzi event. They asked that the kids come dressed as their favorite Aladdin character so I was so happy that the costume was almost done. Of we went to West 23rd Street to the Bow Tie Cinemas to watch a screening and then chat with the voices of Aladdin and Jasmine, Scott Weigner and Linda Larkin. 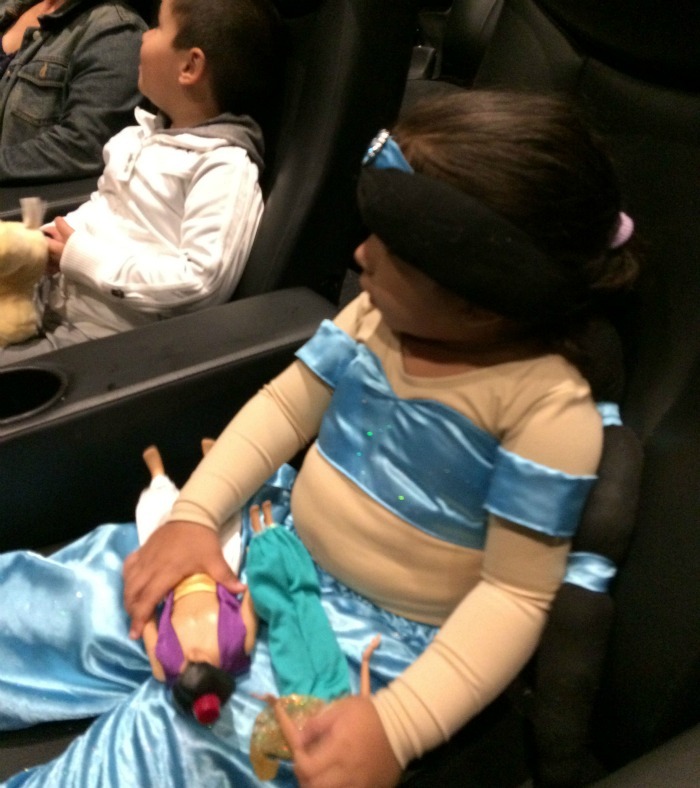 As soon as we got there is was cute seeing all the other little girls dressed as Jasmine. My daughter proudly walked around with the Jasmine costume I finished just in time. Into the screen room we went to watch Aladdin. It is so much fun to have a little girl who is just as much a Disney Princess fan as I am. I remember when Aladdin was first released in 1992 and I went to go see it as a 13 year old. We have all of the Disney Princess DVDs so my daughter has watched it hundreds of times but it was so special watching it on a big movie screen with her. I brought along my nephew and mom and I was kind of nervous that my nephew who is 5, would react badly to seeing a Disney Princess movie. He loved watching it and thought that Aladdin and the Genie were pretty cool. I love that Aladdin can be a boy movie too. After the movie we got to ask Scott Weigner and Linda Larkin questions. I was surprised to hear that they read all of the script of movie before the cartoon was drawn. 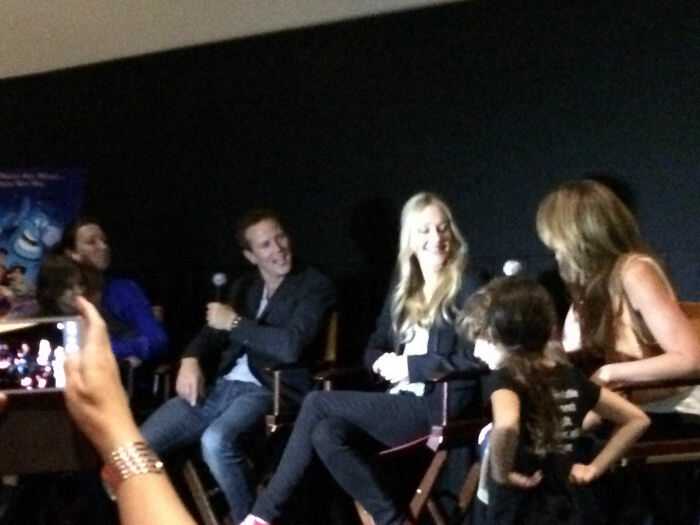 Scott Weigner also mentioned that he took "DJ" (Full House) on her first date to see Aladdin. The Aladdin Diamond Edition Release features a deleted song "Proud of Your Boy", movie secrets, games and more. 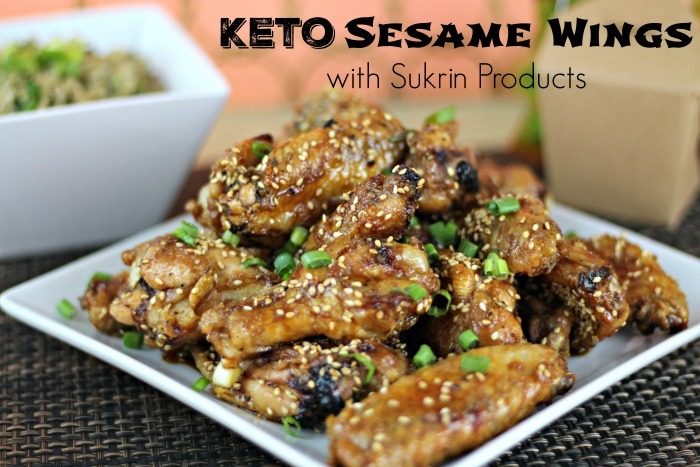 Available to purchase on October 13, 2015. I always loved the story of Aladdin and his magic lamp--Three wishes!! I have never seen it on film but I imagine that it is wonderful and all children would enjoy it! Love it when the kids are so into it they want to dress up. My oldest dressed up for the Avengers movie as a Ms. Captain America! Oh she brought her dolls too! She seems really into it. Looks like you both had fun! So neat that you were already making her costume. I love her costume! This looks like so much fun! My daughter loved her Jasmine costume when she was little. I can't wait to share the new edition of Alladdin with her. I think Aladdin is a great movie for boys and girls alike. The genie is too much fun!